Please join me in congratulating Dr Angel Puga-Bernabéu (former GRG postdoc now collaborator) on the publication of his new paper in the journal Marine Geology. Puga-Bernabéu, Á., Beaman, R.J., Webster, J.M., Thomas, A.L., Jacobsen, G., 2017. 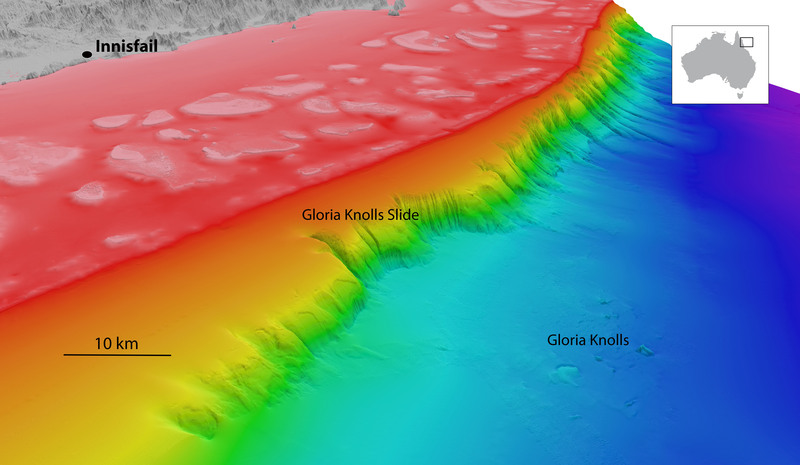 Gloria Knolls Slide: A prominent submarine landslide complex on the Great Barrier Reef margin of north-eastern Australia. Marine Geology 385, 68-83. This paper, with GRG collaborators Robin Beaman, Alex Thomas and Geraldine Jacobsen, documents the largest submarine landslide complex we have discovered (so far!) on the continental slope boarding the Great Barrier Reef. More details, including a spectacular 3D “fly through”, can be found at the USYD press release.